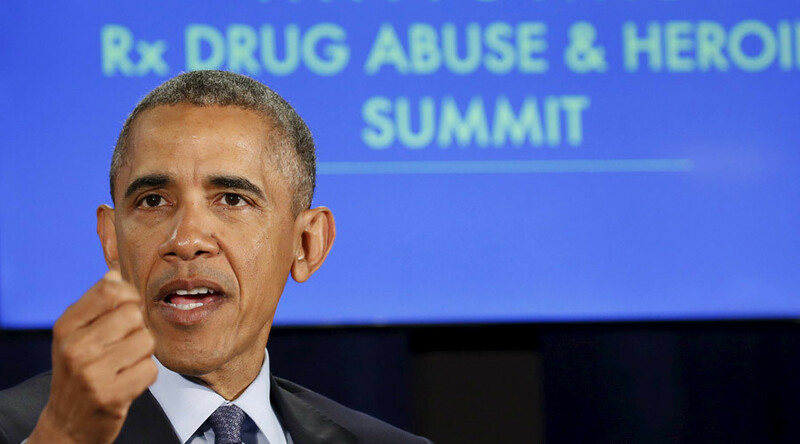 Obama says he wants to find a new approach to those addicted to heroin and prescription drugs. He says that more attention needs to be paid to a problem that kills more people per year in the US than traffic accidents, and it should be given similar importance as the fight against Islamic State.
.@POTUS more people killed from opioid overdoses than traffic accidents. Here at #RxSummit to help shine a spotlight. However, perhaps most importantly, Obama says he wants to change the perception of how drug abuse is viewed as it is “costing lives and it's devastating communities." "For too long we have viewed the problem of drug abuse generally in our society through the lens of the criminal justice system,” he said, speaking at a drug abuse summit in Atlanta, as cited by Reuters. More than 29,000 Americans died from drug overdoses in 2014 – more fatalities than occurred in motor vehicle crashes, according to the Centers for Disease Control and Prevention. "The problem we have right now is treatment is underfunded," Obama said, urging greater steps to be taken to tackle the problem. In February, Obama announced he is seeking $1.1 billion in new funding to address opioid abuse and a heroin epidemic that has surged across America. The administration will ask for the increase in spending to be spread over two years to expand access to treatment. 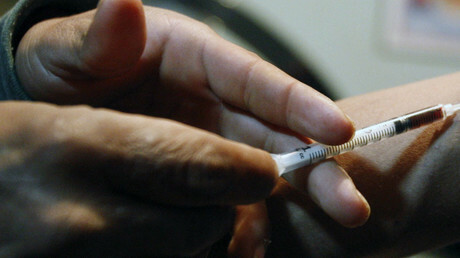 The government is already spending $127 million on treatment programs this year. Obama even talked about his own drug use in his youth saying that he was lucky that addiction "didn't get its claws in me," except for nicotine. Obama had previously written about using marijuana and cocaine in his book "Dreams from my Father." However, a recent study by the Boston Medical Center found that more than 90 percent of people who survived a prescription opioid overdose were able to obtain another prescription for the same drugs that nearly killed them. The findings on chronic pain treatment came from analyzing a national database of 50 million health insurance claims filed from 1999 to 2014. Amongst the data, researchers found nearly 3,000 patients, aged 18 to 64, who were prescribed an opioid for chronic pain and were treated for a nonfatal opioid overdose within 12 years. Facing the epidemic of overdose fatalities head on, the Centers for Disease Control and Prevention (CDC) has urged physicians to cut back on opioid prescriptions and, instead, prescribe physical therapy and non-opioid painkillers. In addition, they suggested that patients taking opioids be required to have periodic urine tests to ensure no abuse is taking place.